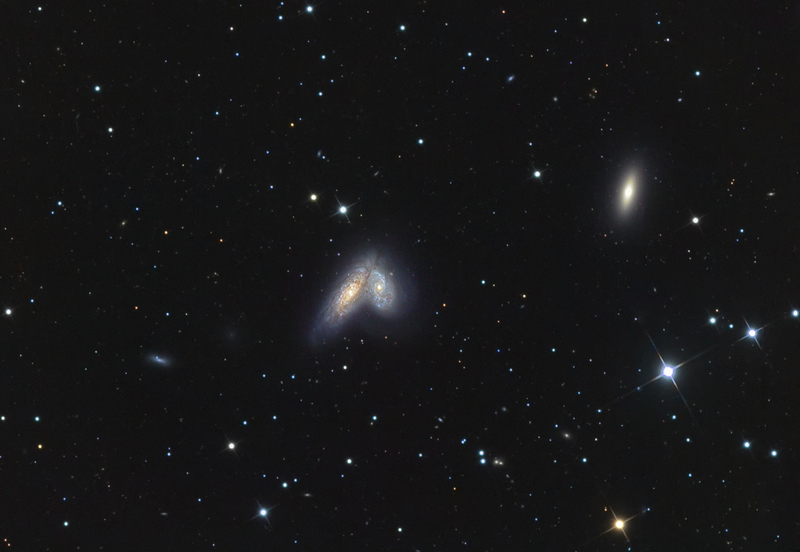 Galaxies NGC 4567 (right) and NGC 4568 (left) are located in the constellation of Virgo at a distance of about 92 million light years from our Milky Way galaxy. They are nicknamed the Siamese Twins or the Butterfly Galaxies. These galaxies are interacting with each other and will eventually merge together. This is a 7 hour exposure taken April 5 and 6, 2013. Click on the image to see more detail in these galaxies. Taken with Hyperion astrograph with STl11000m camera on a Paramount guided by CCDAutoPilot.